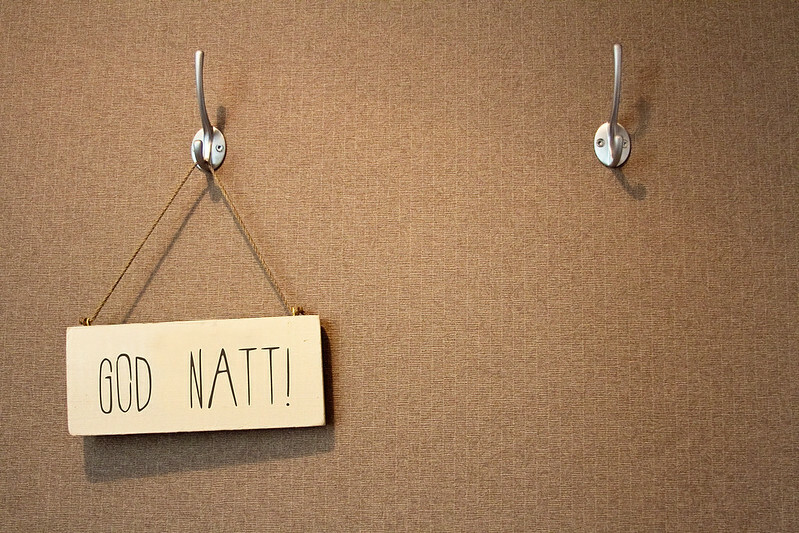 Swedish style is clean, easy-going, practical but also filled with personality at the same time. 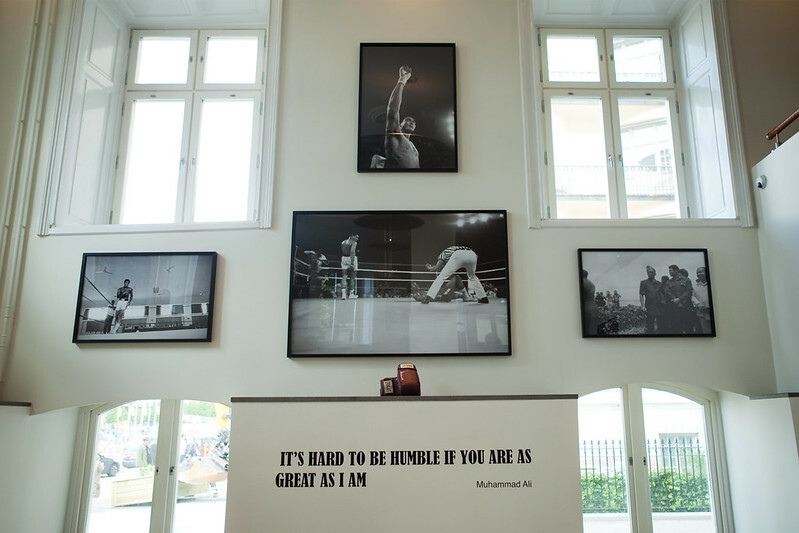 Which explains why so much great music, art and design come out of its capital Stockholm. 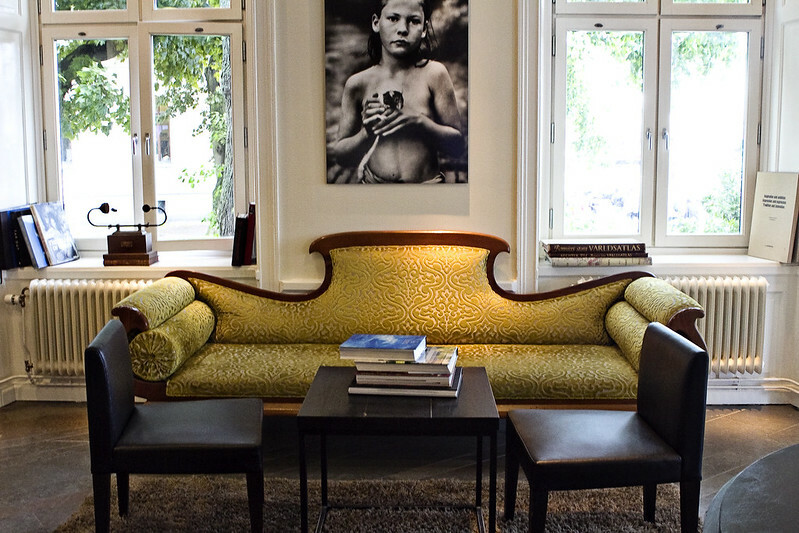 In the Norrmalm area of Stockholm, Lydmar Hotel personifies these sensibilities and elements. 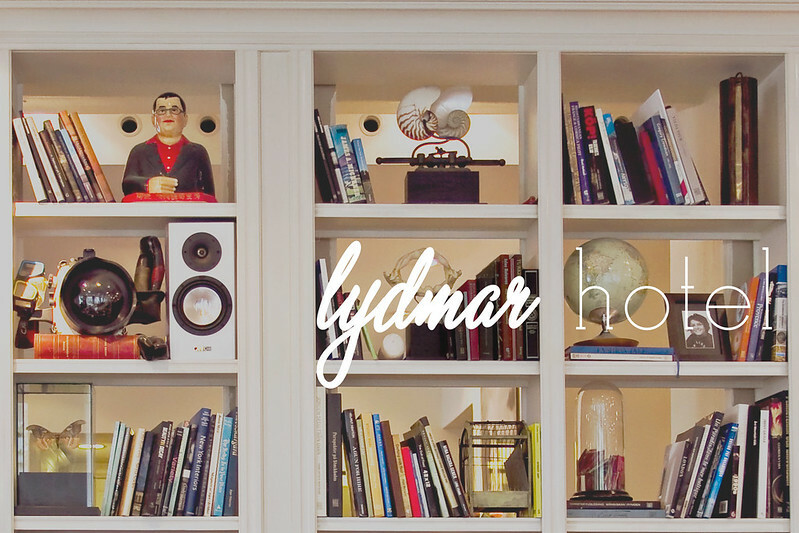 Lydmar Hotel is cool, classic and contemporary. 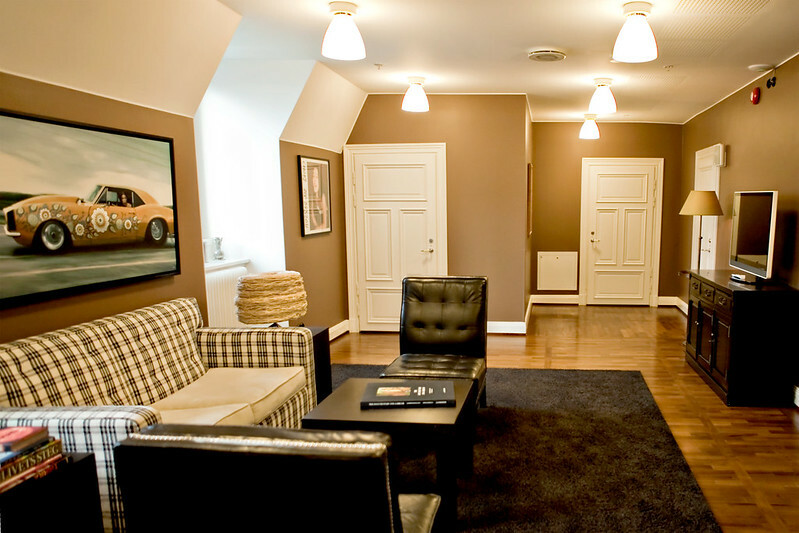 In a very Swedish way, the hotel pulls it off looking like it's not even trying. 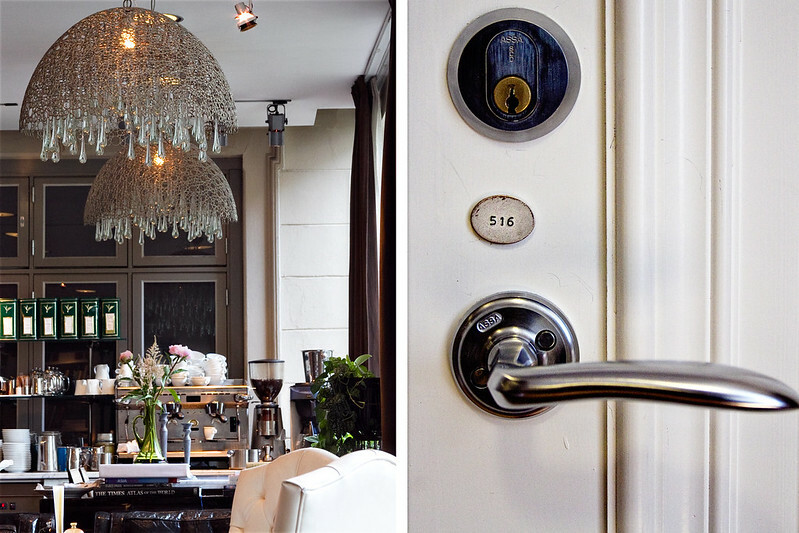 Assorted details in the hotel combine in a cohesive and functional way. Think of the way the books on a bookshelf all come together despite the different titles, fonts, bindings, sizes, colors and stories they each have. 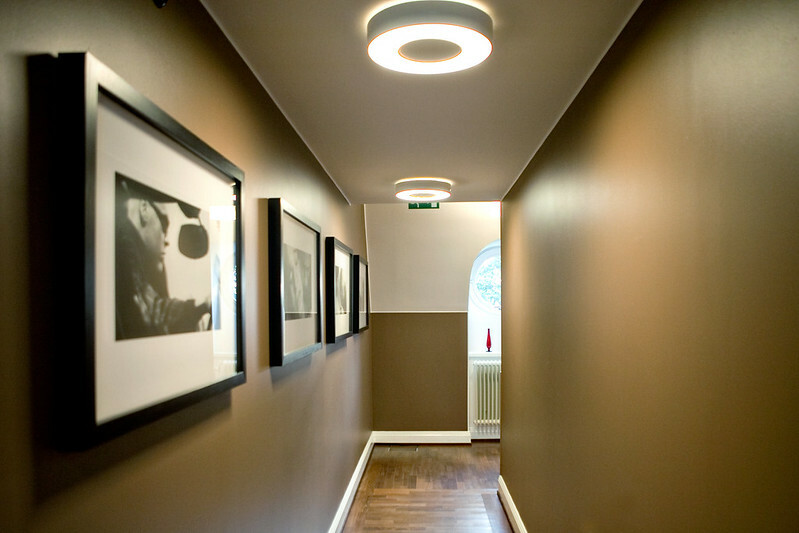 Then it makes sense how Lydmar Hotel can fuse so many elements in such an appealing way. On the outside across from the water the hotel’s unassuming character keeps the hotel low key. It actually looks like part of the Nationalmuseum right across the garden. 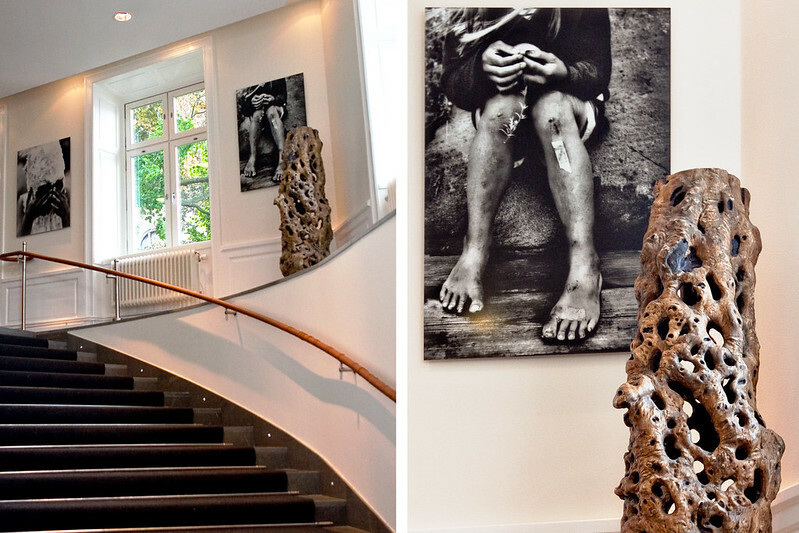 The downstairs lobby has a gallery of art and photographs that changes regularly along with the hotel’s events managed by its own curator and staff. 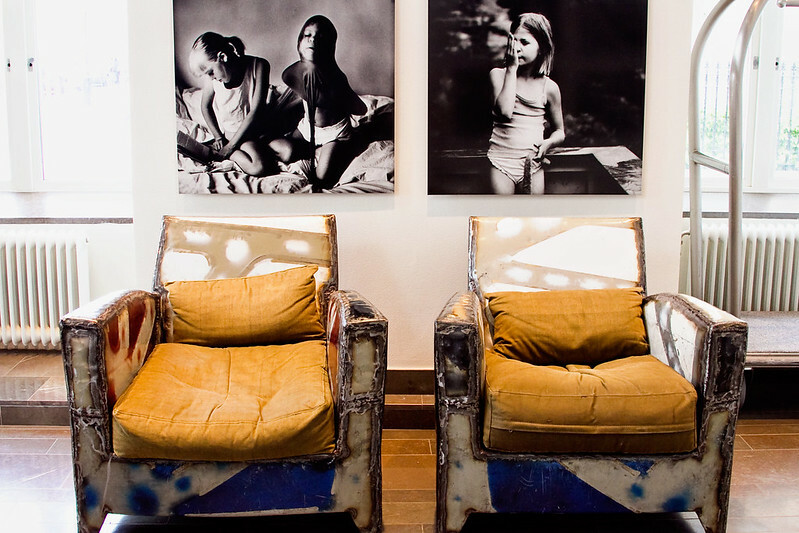 During our check-in, Norwegian photographer Margaret De Lange’s Daughters were on display. 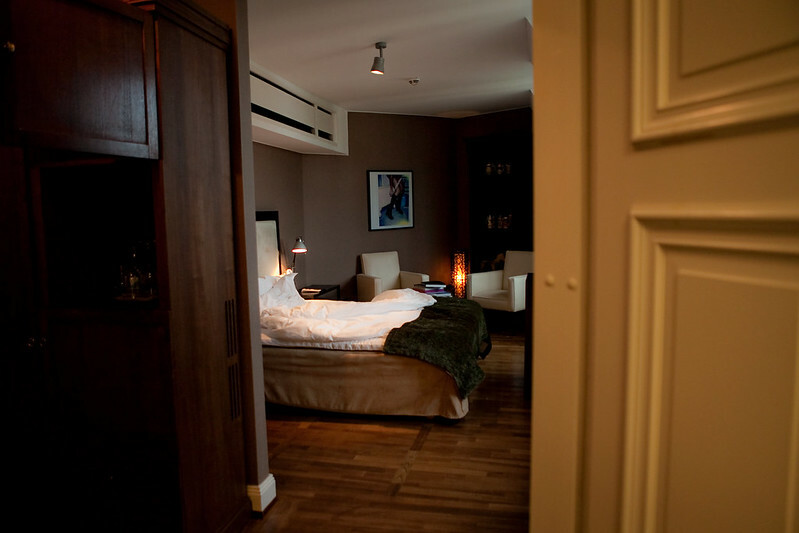 On the main floor upstairs you can find the concierge/check-in desk and also the hotel’s restaurant/bar. 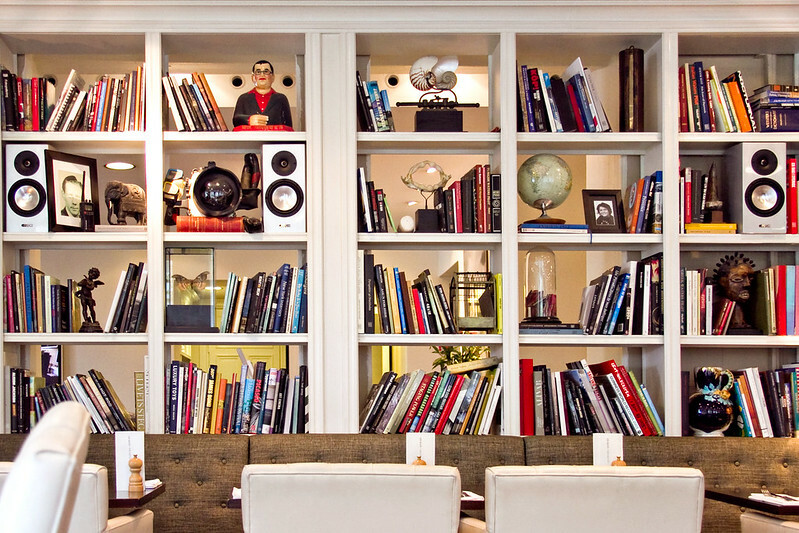 All spaces are separated by wall-sized bookshelves. 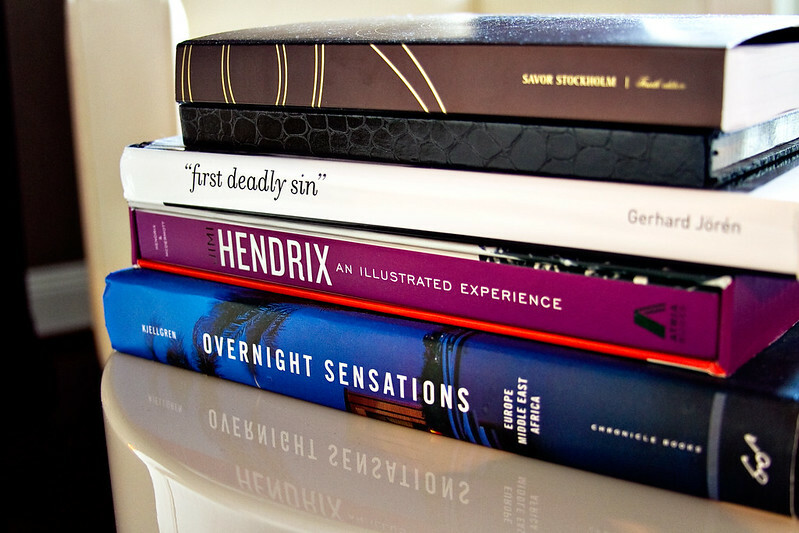 The hotel is not only a patron of the arts, it is also very well read. 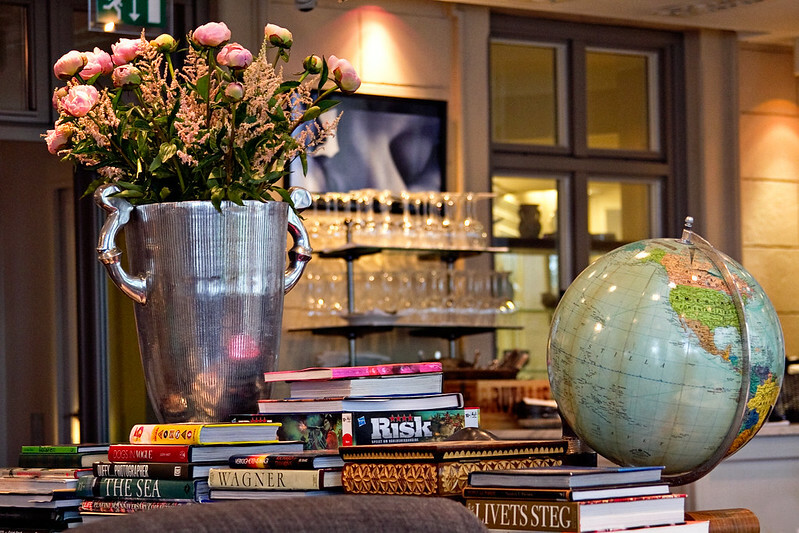 You will find volumes of books in the shelves and on the tables through out the hotel. But it’s not all academics here because there’s a fun selection of board games mixed in. 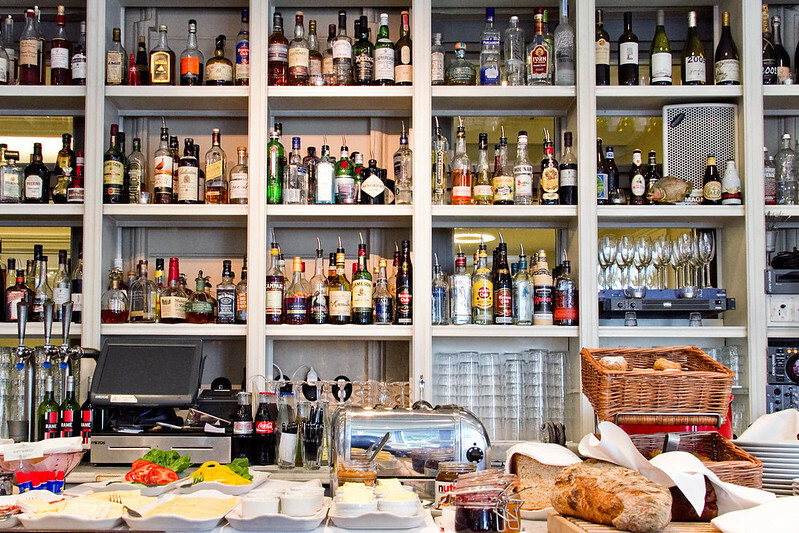 The breakfast bar moonlights as the drink bar in the evenings. The restaurant is hard at work all day from breakfast to late in the evenings where it becomes a hip meeting place for locals and savvy visitors staying in the rooms upstairs. 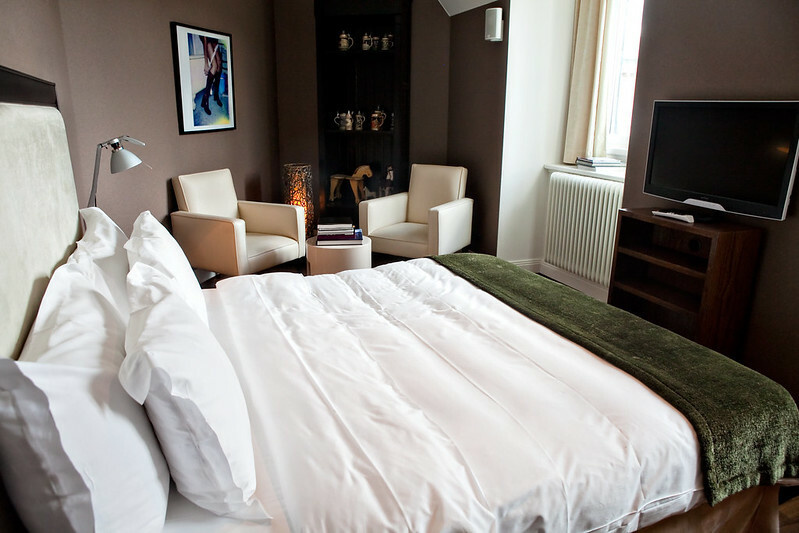 Room 516 is one of the Lydmar’s 46 individually designed rooms. 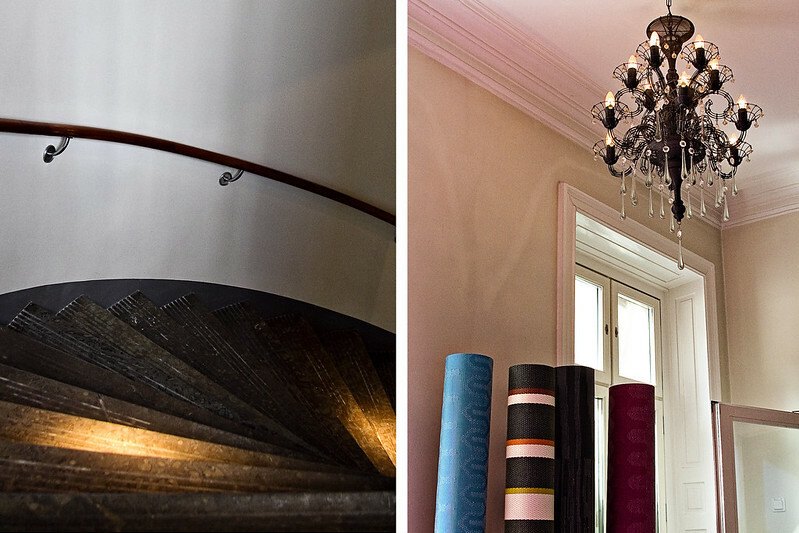 No room is the same and each has it’s own personality, art and décor making it feel more like a home than a hotel. 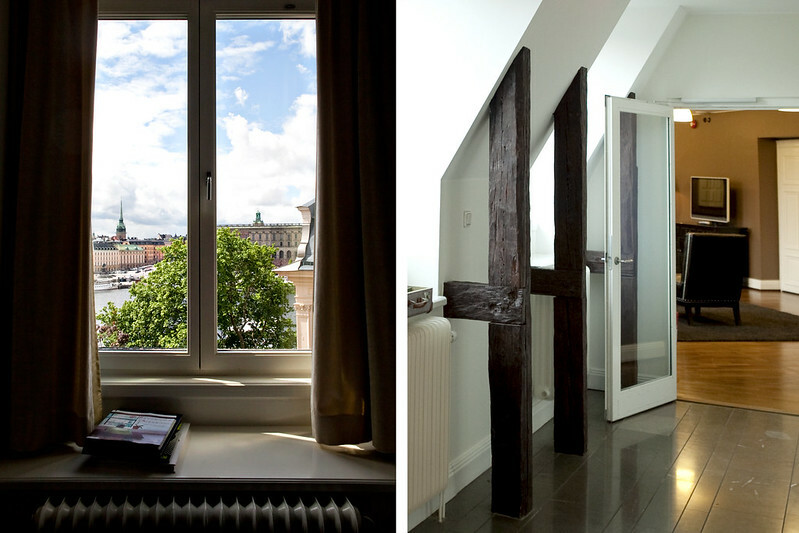 This room has clear views of Gamla Stan and Katarina-Sofia across the water. 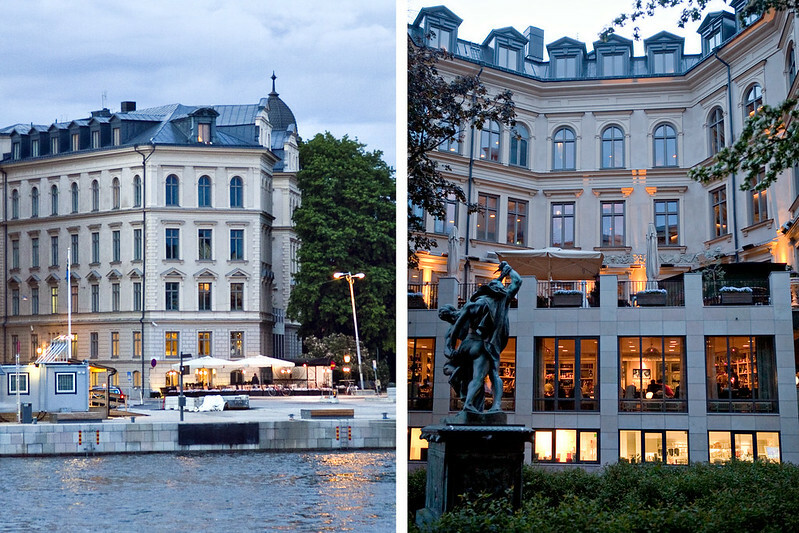 The sun sets from 21:00-22:00 depending on the time of summer you visit Stockholm. 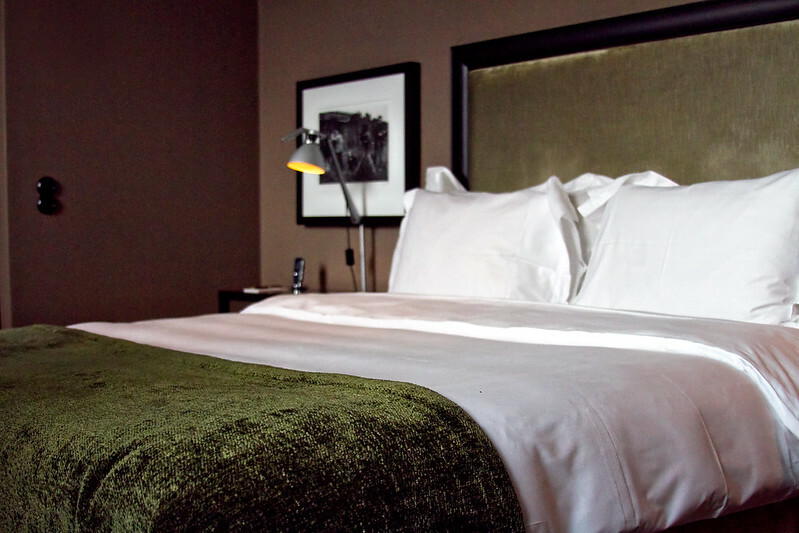 Don’t be surprised if you take a late siesta and wake up to bright sunlight. 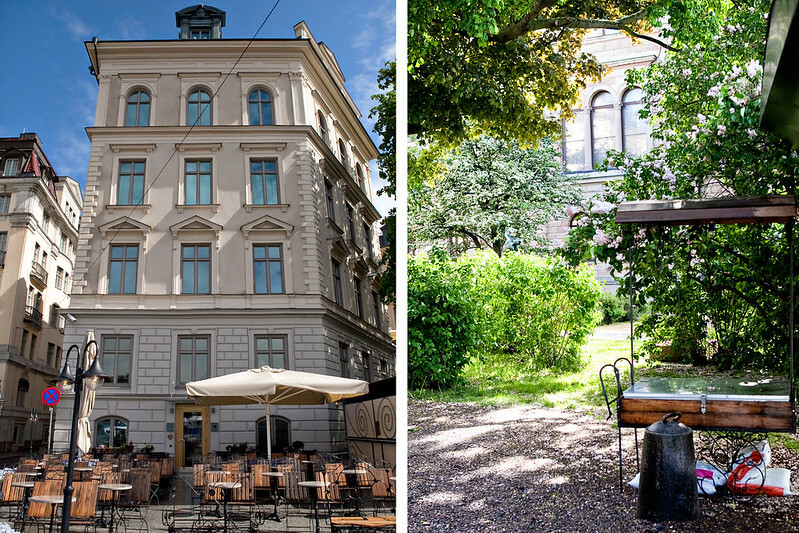 It’s great to go out again to explore and immerse yourself in the city’s culture in the extra sunlight or chill in one of the lobbies with friends old and new. 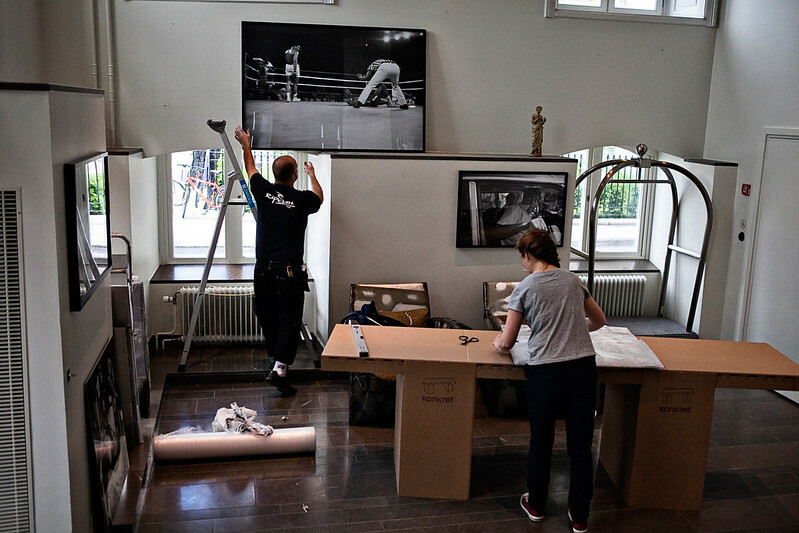 You might even witness the hotel metamorphosing for the next event. But at the end of the extra long day, we understand if you just want to sleep... even if it’s still light out.